How can a data-driven website increase the effectiveness of your marketing efforts? Ok, it is time to turn your website into the revenue generating machine that your web designers promised. So of course, you are going to take the same approach as last time. You are going to call a designer, send out an RFP, or turn to Google to find your next web designer. The process is going to be the same as last time. Your web development is going to ask you questions about your color scheme, what other websites you like, and if they are good they will conduct a marketing discovery workshop. The day will finally come, time to launch the website. The moment you and your entire company have been waiting for. Crickets. There is nobody looking at the site, there are no leads, and worst of all you just spent thousands of dollars. What gives? We should be killing it, right? Wrong. Most websites are built like billboards in the forest. They lack traffic and data to drive the right customers to your website. Let me introduce you and your business to the data-driven website. A better way to build your website. Before we jump into the definition of a data-driven website, let’s quickly look at data. Not all data is made up of numbers. There are two types of data sources that need to be considered in all data-driven websites. First, there is qualitative data that is descriptive in nature, usually as a result of research. This data is much harder to analyze but can give your business the most insights into your data-driven website. Second, there is quantitative data made up of numbers. This data source is much easier to analyze. In order for your data-driven website to be effective, you need both qualitative and quantitative data. Qualitative will give you deeper insight into what your customer wants. Quantitative data will show you quickly how a marketing test performed, but not necessarily give you the answer you are looking for. A/B testing (also known as split testing) is a conversion optimization technique in which we compare two or more versions of a web page against each other, in order to determine which version performs better in terms of driving leads, sales or completing other conversions. 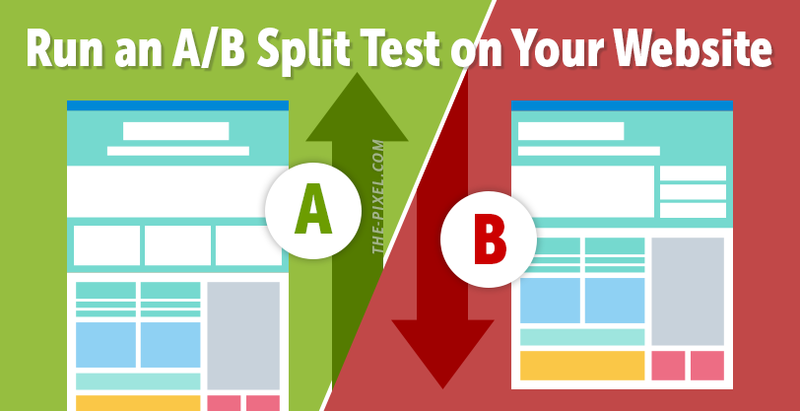 Learn more about A/B split testing. Data check. A data-driven website is a website that can easily be updated by the managers of the website.The website is created to display new content to users and customers based on the data analyzed. It is different than a static website that is only updated once. A data-driven website will continue to be updated as new information and data are provided. Yes, a data-driven website will require more work. However, the results your business will receive will speak for themselves. Okay, we are all on the same page when it comes to data-driven websites. We can now look at the meat of the website and consider what elements are going to be needed in our new website build. 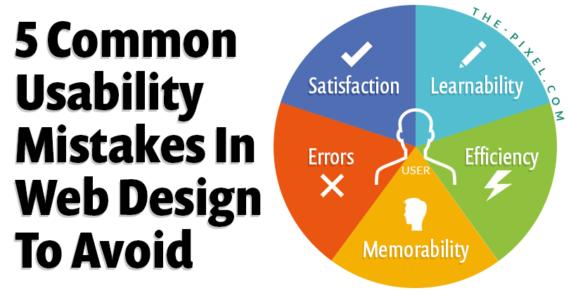 Odds are that you are looking to redesign your website because something is not working. 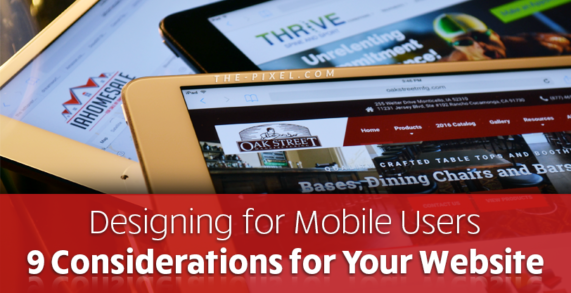 Maybe your brand message is not being communicated, maybe your website needs a modern look, or maybe it is finally time to embrace mobile users. Whatever the reason you are redesigning your website, you have a theory about how a new website will make it better. Start your data-driven website design with a hypothesis. Don’t just redesign your website because someone at the local Chamber of Commerce said it is time. You have a hypothesis about your new data-driven website. You know there is a problem and have an idea about how to fix the problem. It is time to start testing both qualitative and quantitative data to show you the right solution. A simple user testing site or full customer research will give you the qualitative data needed to move forward. 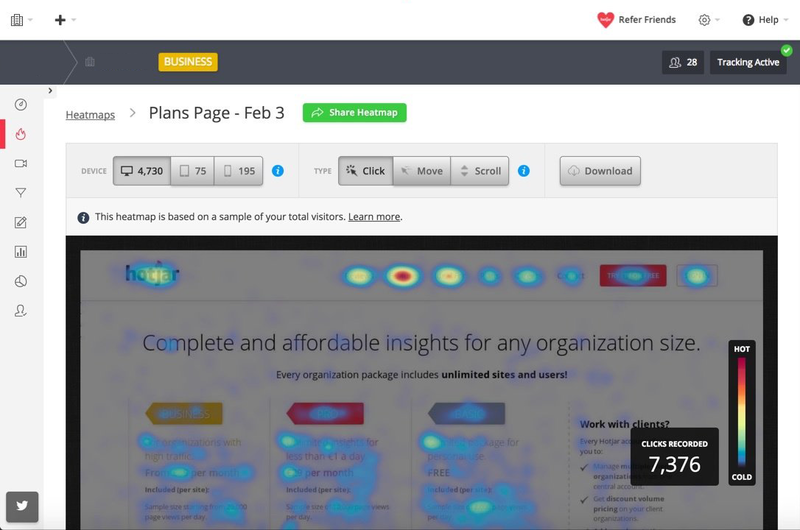 You can also A/B test landing pages to get the qualitative data needed to make the right decisions. In order to have a true data-driven website, the testing never stops. Testing should be part of your overall marketing strategy to get the right outcomes and results. Use both qualitative and quantitative data to push your data-driven website to the next level. It is time to convert traffic into leads. 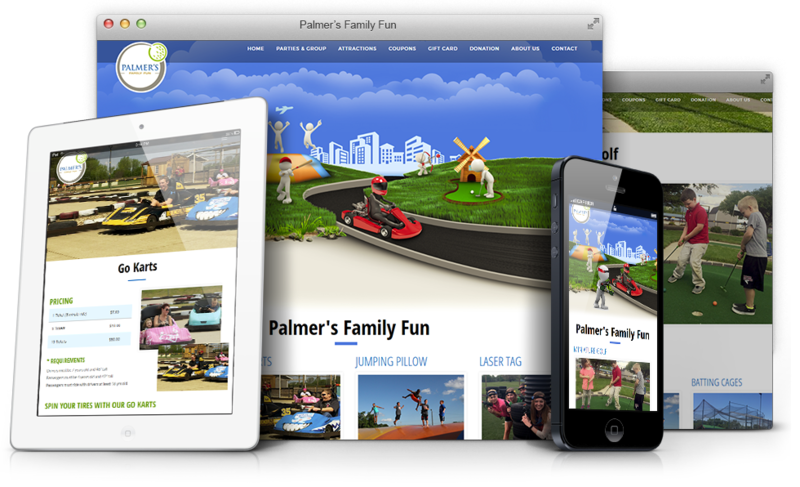 One of the biggest problems with website design is that we try to copy a look that we like. We try to mimic a style from another company in our industry. This leads to a nice looking website that missed the true reason for your website, creating a digital home for your company. Your website is your digital real estate, make sure that it is unique just like your company. Build your website based on the feedback, research, and conversation with you customers (qualitative data). Your customers are the reason you need a website, not because someone told you that you need one. You need to be able to provide information that they are looking for. Start with the end in mind and build a data-driven website that connects with your customers. If you are like the majority of business websites out there, you have a static website that never changes. Why would we add new content? You are probably also wondering where the traffic is. Well, a data-driven website is going to continue to evolve through new headlines, updated product pages, or even just a blog (most common). The data your website provides will dictate the changes that need to happen to increase traffic, conversion, and revenue. I know what you are thinking. This all sounds great, but I do not want to wait on the designer to update pages every time I need to change a headline. Introducing the CMS (content management system). A content management system (CMS) is a software application or set of related programs that are used to create and manage digital content. This will make it easy for you or anyone on your team to update your website. Here are a couple content management systems you can use. 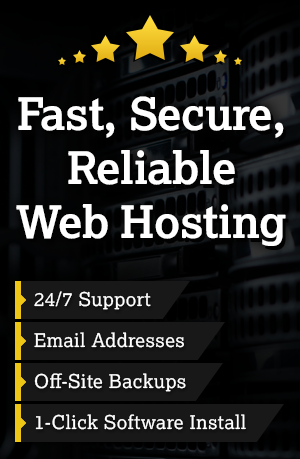 Or a customized system for your business. In order to gather data on individual users, it is important to connect your website to a database. By connecting your website to a database you get the opportunity to store data you are using in your marketing efforts. This is the best way to monitor user behavior on your website and determine if you need to make any changes. If you are not able to connect to a database, then make sure that you at least have Google Analytics on your website. This will give you a high-level look at quantitative data you need to make changes to your website structure and content. A database is also the base for your marketing automation efforts and lead nurturing campaigns. Your data-driven website starts and ends with analytics. In order to track and monitor the data needed for your website start with Google Analytics. By installing this piece of code, you will be able to gather more data about your users than you ever thought possible. Take it a step further with closed-loop analytics. According to HubSpot, closed-loop analytics lends insight into the entire customer lifecycle — from the time they first interact with you to the time they become a customer. It helps tremendously with Sales and Marketing alignment because you can actually see what activities are most likely to yield a customer — “closing the loop” on your marketing efforts. Closed-loop analytics are important to know what is driving revenue or real dollars from your website. This will allow your marketing and sales to align on needs from the website and drive the results you expect from your website. A call-to-action simply tells your website user what you expect them to do. The call-to-action is important in the conversion process from website visitor into a lead. The calls-to-action will help you understand what is converting visitors to leads. These are great data points for your data-driven website. It is also a marketing best practice to include a strong call-to-action in your marketing messages. As you can see there is a big difference between a data-driven website and a static website. The importance of a data-driven website comes down to three points. The path the customer takes to purchase is a very valuable piece of marketing material. A data-driven website will give you the ability to monitor the buyer from the first touch (how the customer found your business i.e. Google, Social, Event, Referral, etc.) through the actual purchase. Analyzing the source (Google, social media, or other events) will let your team know how to get more leads for sales to close. Using a data-driven website will allow your business to measure and analyze your marketing efforts. The information from your website will allow your business to invest in the right marketing tactics. The tactics that result in real revenue, not just fancy stats like impression, hits, or engagement. This allows you to drive real revenue from both inbound marketing and outbound marketing, a holistic marketing approach. The goal of any company is to grow revenue and increase marketing effectiveness. After you measure and analyze your marketing efforts, you are going to be smarter about the dollars you invest in marketing. Maybe, you even double down on the marketing tactics that are working. Don’t just assume your marketing tactics are working, really know what is working and not working in order to grow your revenue. 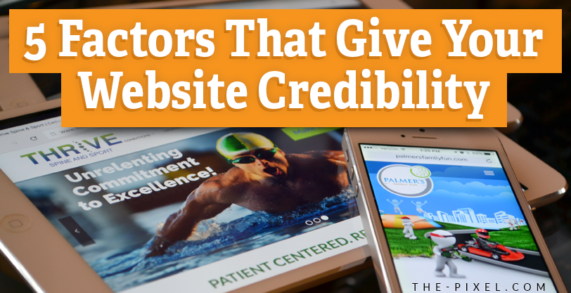 If nobody sees your website, does it even matter? Probably not. My opinion about website design is not a popular one among marketing agencies. Your website needs to be part of a holistic marketing approach, not a one-off project that costs an arm and a leg. It is my belief that your website should never be complete, it should continue to evolve based on data, both qualitative and quantitative. I am not saying that your website should be designed by your nephew with no experience. You need a professional designer to help. What I am saying is that the $50k website is a joke. Unless you have a robust eCommerce site or require heavy integrations, there is no reason a website should have a one-time fee that high. You should hire a long term “marketing partner” that will continue to work on your site month after month. They should focus on making your data-driven website better and better. In order to really have an effective web presence, you need a data-driven website.